Following on from the Samsung Galaxy Fold many other manufacturers are releasing news of their foldable smartphones. Check out the new HUAWEI Mate first draft foldable phone. This is another 5G phone which is currently being shown as a late prototype and the release date is not yet known. Unlike the Samsung Galaxy Fold the HUAWEI Mate foldable has the display on the outside and the reviewers are saying postive things about the designs. This is some cool tech soon to hit the streets. 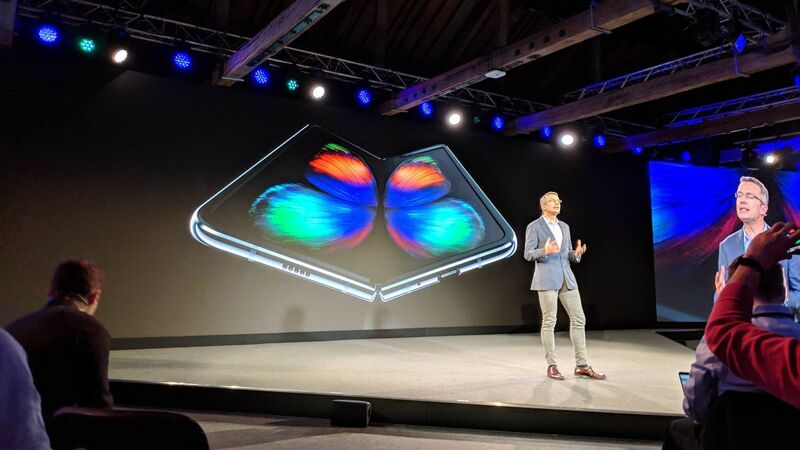 Slated for an April appearance the new Samsung Galaxy Fold with a 4.5″ folding display certainly looks attractive and very usable. The downside to this model may be the cost as the release price is close to 2 grand which will be out of reach for many consumers but less for corporate devices. For this price you also get the new 5G.